Oh Mercy is a contender, along with Time Out of Mind, Good as I Been to You and even Empire Burlesque (yes!) and possibly Slow Train Coming, as one of the best post-Desire Bob Dylan albums. This one comes as a surprise though. Dylan wasn’t exactly in peak form at the end of the 1980s. In fact, he was in something more akin to a downward spiral. The effort Dylan put into this album was leaps and bounds ahead of his previous effort Down in the Groove. It wouldn’t last. The follow-up Under the Red Sky was vapid and unconvincing (thanks to Dylan vetoing almost all production efforts). It was as if Dylan had no idea whatsoever what worked and what didn’t anymore. But, this album wouldn’t be the last of this type of songwriting. In fact, after a “reboot” with the acoustic folk album Good as I Been to You, Dylan explored simple blues rock structures with World Gone Wrong and from then on out was on autopilot. He would return to the songwriting style of this album most of the time. Some late period albums just shifted the textures of the backing music to the utilitarian sounds of World Gone Wrong, without really taking a different thematic or structural approach. 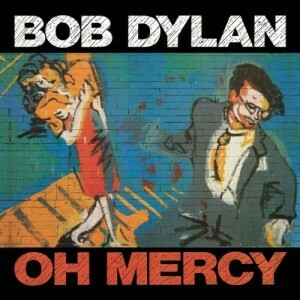 Oh Mercy sounded like the product of a songwriter past middle age. Straight from the opener “Political World,” it’s clear that he was interested in tackling subject matter that younger performers probably wouldn’t pursue. This is a little uneven at times. Time Out of Mind is better (and Empire Burlesque too, even if I’m the only person who thinks so), but Time Out of Mind was really a reassessment and refinement of the same style on display here in more tentative form.